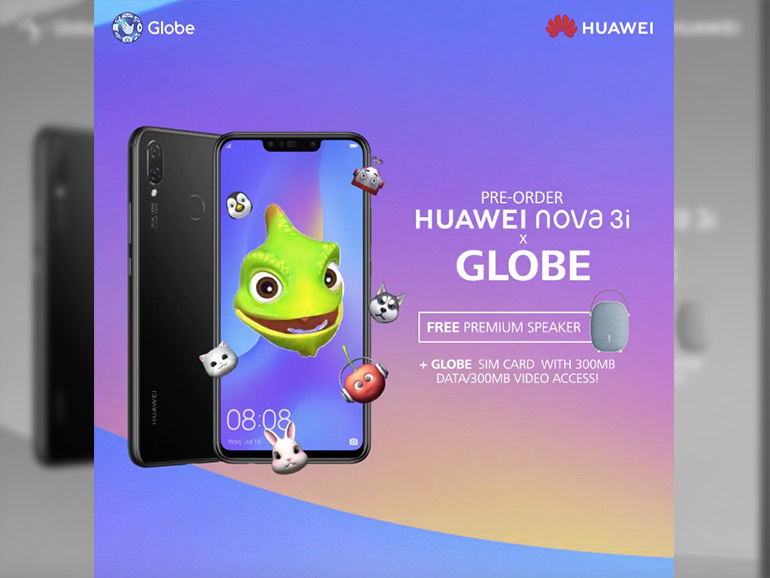 You can now pre-order the Huawei Nova 3i from Globe Telecom. Those who pre-orders for one will get a free Bluetooth speaker and a Globe Prepaid LTE SIM. The Huawei Nova 3i is coming to Globe. The handset is up for pre-order and will come with a free Bluetooth speaker and a Globe Prepaid LTE SIM loaded with 300MB data plus an additional 300MB for video access valid for 15 days. In case you missed it, the Nova 3i comes with a 6.3-inch full HD+ display, a HiSilicon 710 processor, 4GB RAM, and 128GB of expandable storage. In the camera department, the handset has a 16MP + 2MP module at the back, and the 24MP + 2MP in front. It comes with Huawei’s artificial intelligence technology with scene recognition. Priced at PHP15,990, the Huawei Nova 3i is available for pre-order from July 19 to 27, 2018. Those who pre-order will get a free M2 Bluetooth speaker and a Globe Prepaid LTE SIM. Check out Globe’s offer by clicking here.